You wouldn’t wear a cap and gown out and about on just any given day; it’s an ensemble reserved for one occasion and one occasion only — graduation. In 2016, Drexel University reorganized its commencement practices when President John A. Fry announced that students could participate in both their individual colleges ceremonies and a university-wide commencement, where students from all colleges could celebrate their accomplishments together. Held in the Philadelphia Phillies’ Citizen’s Bank Park, this larger venue provided graduates the opportunity to invite more family and friends to commencement. But there was still something bogging down many of the graduating students — before they could get to the day they’d celebrate the tons of hard work and thousands of dollars they’ve paid to earn their University degrees, they must pay for their caps and gowns. They must be newly purchased. You cannot rent or borrow your gown from another student or organization, and you cannot just buy the hood specific to your college. If you have not newly purchased your cap and gown, you are not allowed participate at Drexel’s graduation ceremonies. And it’s a steep price for a flimsy piece of polyester — $83 if you’re receiving a Bachelor’s degree, and $96 for a Master’s candidate. When you include service and shipping fees, the total comes to $104, according to Lauren Gross, a senior Anthropology major. Doctoral students have the option of renting their regalia. But for Master’s and Bachelor’s candidates, purchasing new is the only way to participate in their graduation ceremonies. “Drexel makes you pay the full price for something that you use once. Even if you could borrow the items from a friend or relative,” Gross said, noting that she has friends from previous years, who no doubt could have lent her their regalia. “My boyfriend graduated last year, as well as many friends who are still in the city would have definitely let me use their caps and gowns. In that case, I would have just had to get a new hood to represent my college, which would have been a fraction of the cost and would have been more economically and environmentally responsible than buying the whole package,” she continued. And she makes a good point. Thousands of Drexel graduates each year are required to buy new caps and gowns that they’ll only use once. After the ceremony, they’ll end up in closets or trash cans. For most, paying over $100 for a cap and gown seems absurd and unfair. “My family is going through a rough financial situation. I know that I cannot walk without a cap and gown. Because money is tight, I was hoping to be able to rent our borrow the regalia to save some cash. However, since it seems I have to pay for them,” Cindy Landmesser, a senior photography major, told me. “I may have to decide if I pay for regalia and miss some bills or not buy regalia and not walk at graduation, which I have worked for and earned,” she added. I spoke to a woman on the phone earlier this week at the end of the “Drexel Commencement” hotline. She told me that students who might have trouble paying for their regalia could reach out to their respective college’s dean for financial help. But honestly — why should they need to? 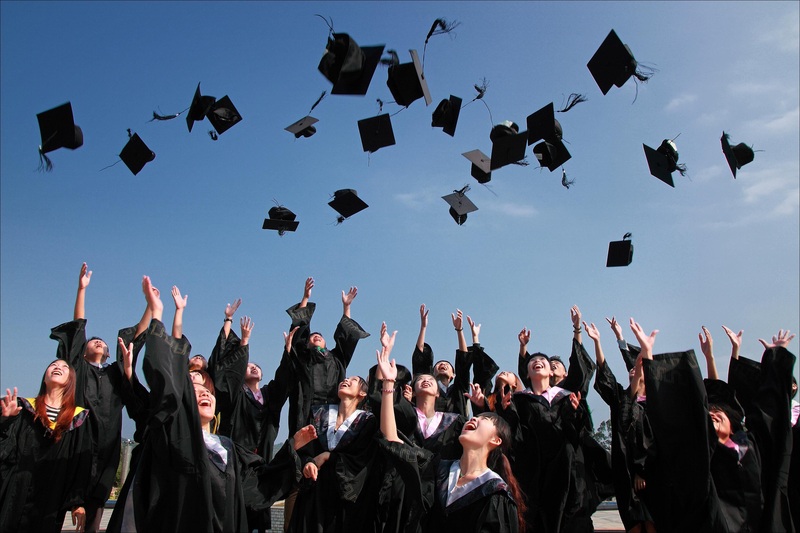 Participating in your graduation ceremony shouldn’t have to be something that students have to weigh. It should be a day that all Drexel students — regardless of their financial situation — can take part in. It is possible to arrange such a thing. With just a quick search I found that at both Lehigh University and Cornell University, bachelors and masters graduates are afforded the option of renting their regalia. Last year, the University took a major step forward in creating a University-wide Commencement where students across colleges could celebrate earning their degrees side-by-side. Next year, I propose it take another in making commencement more accessible to students financially by allowing us to re-use or rent our regalia.